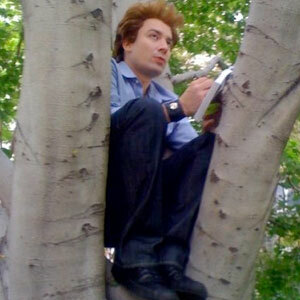 Another Monday is upon us and I’m in the middle of a Twilight comic/funny stuff drought, so I’ve decided to bring you a hybrid Monday Funnies and Stuff Guys say about Twilight, featuring one of our most prolific Twilight thinkers: mutemathguy. It’ll always surprise me the stuff that guys will think and say about Twilight, and I think that’s one of the reasons we love our resident Unicorns so much- they bring such a different perspective on our favorite books and movie! So in an effort to stave off the Monday blues… here’s another round of Stuff Guys say about Twilight with our pal mutemathguy. mutemathguy: then that Dad would be Dr. Acula… you know…..like on scrubs? mutemathguy: do you want me to draw this out with crayons? themoonisdown: HAHAHAHA, the part about driving from london to russia!? themoonisdown: are you watching kristen? or rob now? Just say no to drugs kids! Even if today’s particularly heinous! PS A HUUUUGE HUUUGGGEEE THANK YOU for all the birthday well wishes, pics, videos, funny comments, and to Summit for sending Rob back to LA on Saturday to be at my party. I couldn’t ask for sweeter sentiments or nicer folks to read our blog. I wish I knew you all in real life so I could give you a huge (fake lesbian) smooch and a hug… but I can’t, so just imagine me hugging the computer screen and smiling like an idiot. XO! The Quad- thank you for helping create the raddest blog post ever ABOUT ME! Everyone should have the chance to hear their pals tell them all the things they like about you. I may or may not have printed that out and made it into a tshirt to wear on bad days. Oh and where do I send your bribe payments? SPECIAL HUGS! Watch the Kristen Stewart Letterman interview for a laugh… or at least a few cringe-worth momets to start your week off right!